Is there anyone in the Brainerd Mn? Just wondering if any members live in Brainerd or Brainerd Lakes area...? I am in Brainerd Mn every Wednesday and stay over night at the Arrowwood Lodge but recently I am helping a friend set up a 125G. I would love to introduce him to some frozenocean members so that im not the only go to guy hes got. And to some of you that live there you already know the the local pet shop needs to be taught a thing or two so I told him not to go there. Cyano heaven in there tanks. Also, come summer time I stay at Craguns Resort on Gull Lake and go fishing every wed afternoon if anyone wants to join! Re: Is there anyone in the Brainerd Mn? Dan used to be in Brainerd but he moved. I am not aware of any other club member in that area. Yes, I see hes in little falls which is not very far. Yes im in Little Falls now. Yea I drive through motley, deliver at trident, moreys, the grocery store and then I go to staples, usually on Thursdays. If your not busy this Wed maybe you can swing over to Brainerd..? I stay at what used to be called The Lodge on Brainerd Lakes hotel. Now its called Arrowwood Lodge. I gotta drill my buddys tank and if I can get him a decent return pump maybe get water going through the system. Raul Badillo Jr wrote: Yea I drive through motley, deliver at trident, moreys, the grocery store and then I go to staples, usually on Thursdays. If your not busy this Wed maybe you can swing over to Brainerd..? I stay at what used to be called The Lodge on Brainerd Lakes hotel. Now its called Arrowwood Lodge. I gotta drill my buddys tank and if I can get him a decent return pump maybe get water going through the system. I know this post is a little older but I live in Crosby (14 miles from Brainerd) but work in Brainerd. Nice to know there are others in this area. And yes, the local pet store has serious issues, if I have them order anything for me I make sure it does not go in their tanks, I pick it up when they get their order, that is if they remember to order it. Lol. 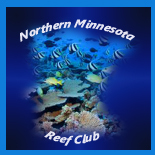 Hope to meet some local reef keepers soon.